In case you haven’t figured this out, it’s from Jimmy Kimmel Live. 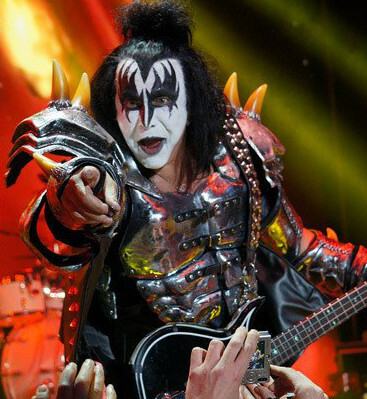 Just for laughs, here’s KISS performing “Strutter” in Tulsa, 8/26. Thanks to KISS Online for the video. Hurry! Get Your KISS Monster Book! 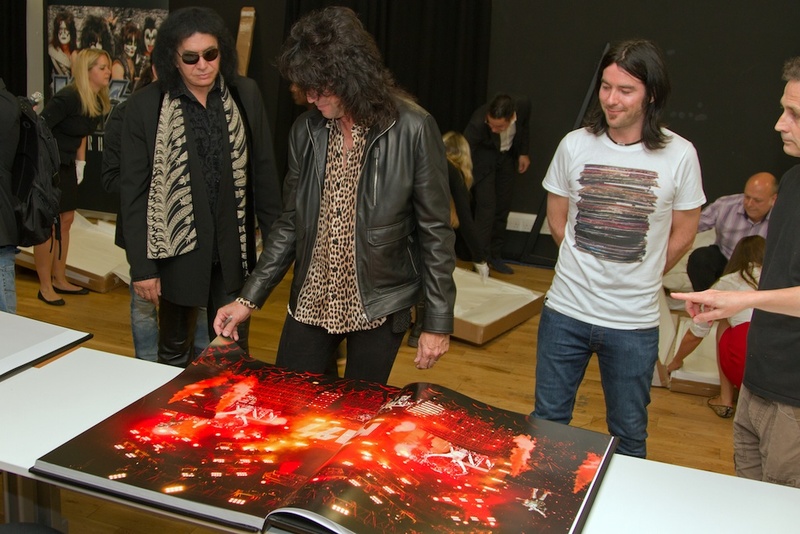 Gene Simmons and Paul Stanley examine the KISS Monster Book. For years we knew that KISS were masters of marketing, even back in the 1970s. Gene Simmons’ reality TV show let that particular secret out of the closet, if the merciless merchandising of KISS the past 30 years wasn’t tipoff enough. So now there’s the KISS Monster Book, a literally larger-than-life photo book spanning the band’s four decades. For starters, the book itself is 3 feet tall! It features photography from such masters as Richard Aaron, Fin Costello, Bob Gruen, Ross Halfin, Tom Hill, Steve Jennings, Andrew Kent, Barry Levine, Eric McKenna, Evan Mover, Michael Putland, Denis O’Regan, Chip Rock, Al Soluri, Mark Sullivan, Mark Weiss and Neil Zlozower. It’s a limited edition; only 1,000 copies will be printed. And you can choose a custom cover with the flag of your country. So what’s the price tag? Only $4,299 … but wait, there’s more! Each copy will come personally signed by all four members of KISS! Don’t wait, get your copy now – before it’s too late! Many people will be celebrating this weekend – Passover, Easter or just two or three days off from work. 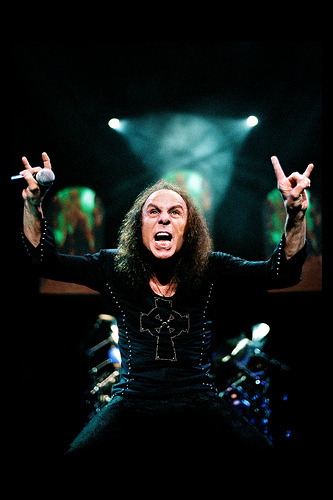 Let us be the first to welcome you to the weekend … here are some hard rockin’ tunes to help get you in the right mood. Why the hell not? KISS, as featured on “Jimmy Kimmel Live” recently.